WTB’s newest saddle was based on the Deva, but shares many similarities with their popular Volt. The Koda is WTB’s newest saddle. Based on the Deva, it features a short nose-to-tail, medium thickness padding, and a wide center channel. The inspiration for the new model came from female riders, who were requesting a more performance oriented saddle. The new platform’s shorter noise makes it easier to get on and off, while the swooped tail provides a perch to brace against. The Koda was created with input from women. It is now the go to saddle for many of their sponsored female athletes. The Koda has become the go to saddle for Rebecca Rush, an endurance racing legend who’s epic adventures have earned her the nickname Queen of Pain. After her first test ride on the saddle, she elected to use in on a four day 450 mile solo ride from Charlotte, NC to Nashville, TN. 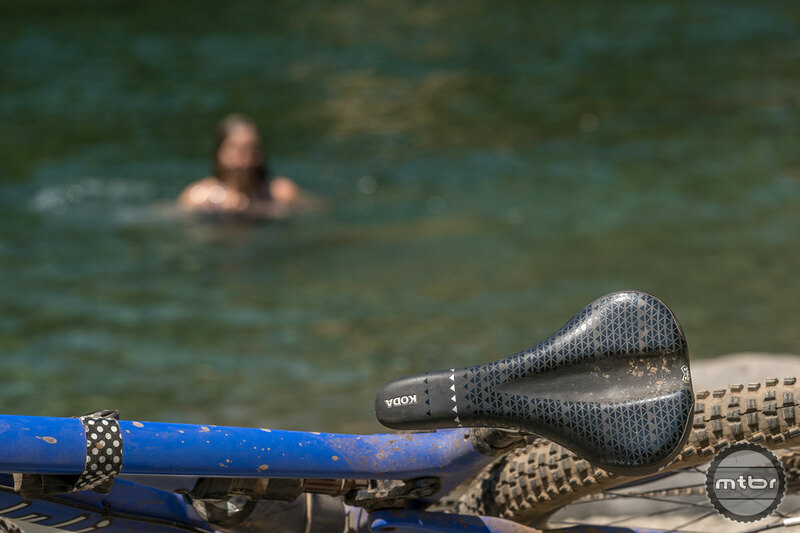 The new saddle has also become a favorite with Anneke Beerten, a two-time world champion in four cross and elite Enduro World Series competitor. The new saddle has also proven to be popular at the WTB office with both men and women. The Koda shares similarities with the Volt, so riders who love that saddle, may find they prefer the new model. To help ensure the saddle fits a wide range of riders, WTB will be offering the Koda in two widths: 142mm and 150mm. 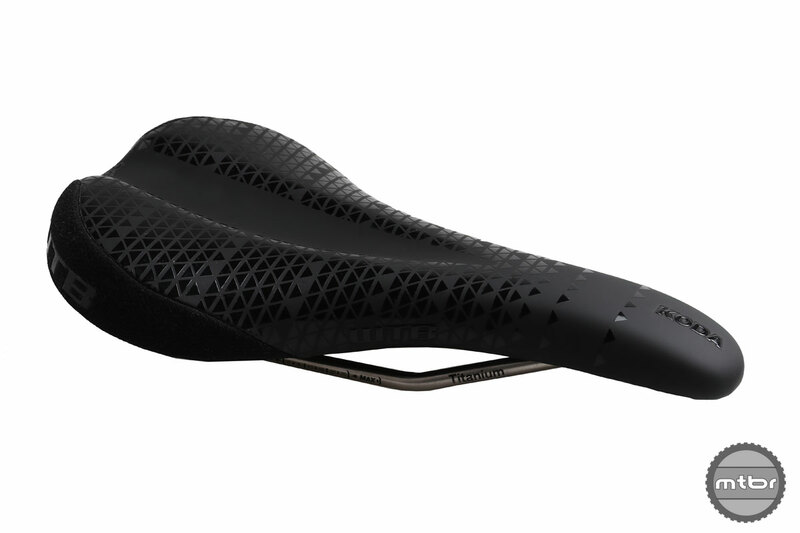 This marks the first time WTB has offered a female-focused saddle in multiple widths. The Koda is available in two widths. Each is available at foru different price points. Both the 142 and 150mm versions of the Koda will be available in four different trims: Team, Pro, Race, and Comp. The top level Team edition saddles features titanium rails and retail for $129.95. The Pro and Race models both utilize cromoly rails, buth the Pro version uses nicer foam. Retail for the Pro is $89.95. The Race runs $59.95. A steel version of the saddle, the Koda Comp, is also available at $39.95.